From here, everything good cascades, where new dreams are inspired and your arrival says “I’ve arrived.” Falling Waters sits at the pinnacle of luxury in every way. 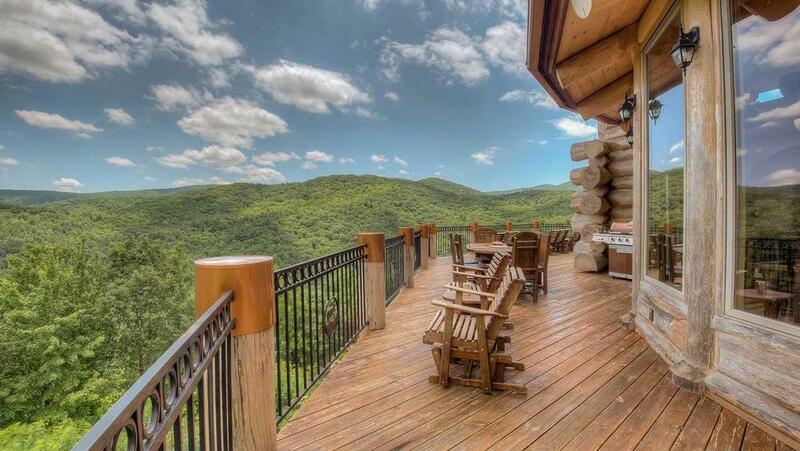 The home’s location is at one of the highest points in the Aska Adventure Area. The expansive decking provides the best seat in the house as you become the ultimate spectator at nature’s most majestic scenic views. Enjoy the shifting sunlight as played against the farthest mountain crests, outlined like waves undulating against the horizon. Or, take in the hills that hug the home’s perimeter and peer into the forest fineries that sustain nature’s subtler miracles. 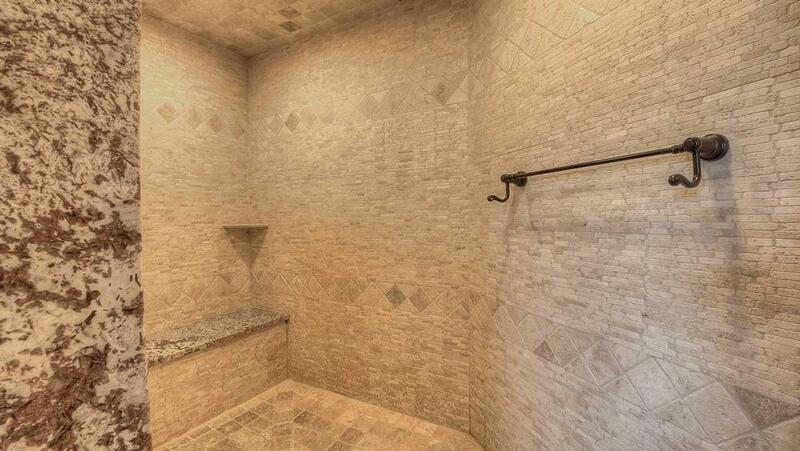 Every detail of Falling Waters is living testimony that craftsmanship is alive and well. 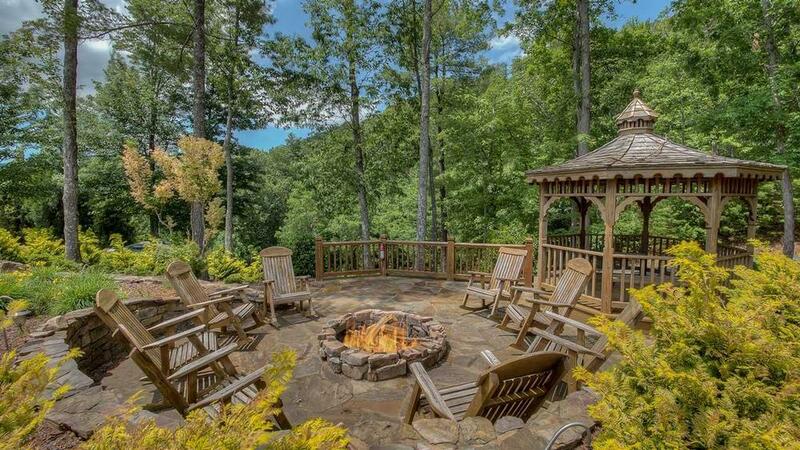 You will become invigorated as you inch up the driveway passing the gazebo, fire pit and of course, the home’s multi-level waterfall for which it is named, and that bids you welcome. 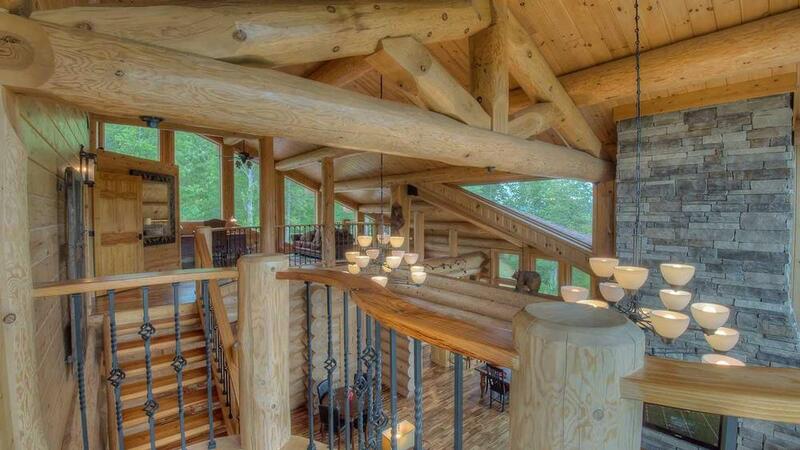 The home is defined by its massive Canadian western red cedar logs and its architectural feats like the curving log archways and uniquely-designed vaulted ceilings. You will appreciate the home's custom details from the intricately grained hickory-wood flooring, to the exquisite finishes, granite counter tops and fine wrought-iron railings. Falling Waters is a seamless balance of luxury living and cozy casualness. 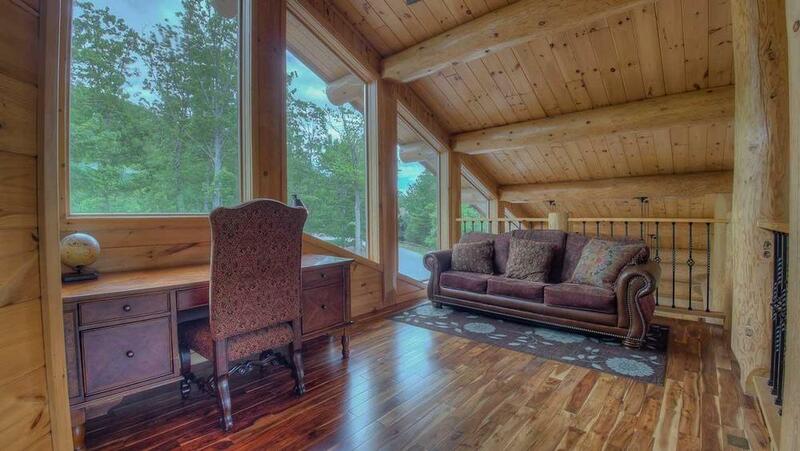 It is large and spacious with abundant windows, yet it is also - somehow – inviting and snug. The home exhibits architectural achievement through dramatic impact as well as unexpected detail. 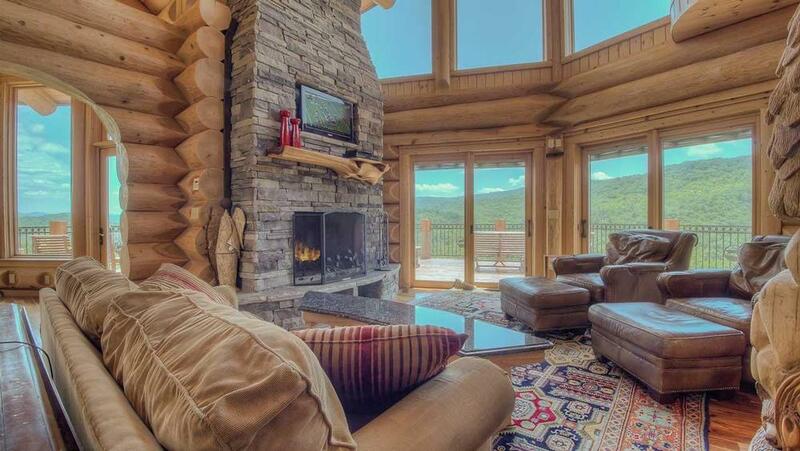 A beautiful two-story fireplace makes a grand statement in the great room and huge two-story windows frame out the spectacular land and sky views. 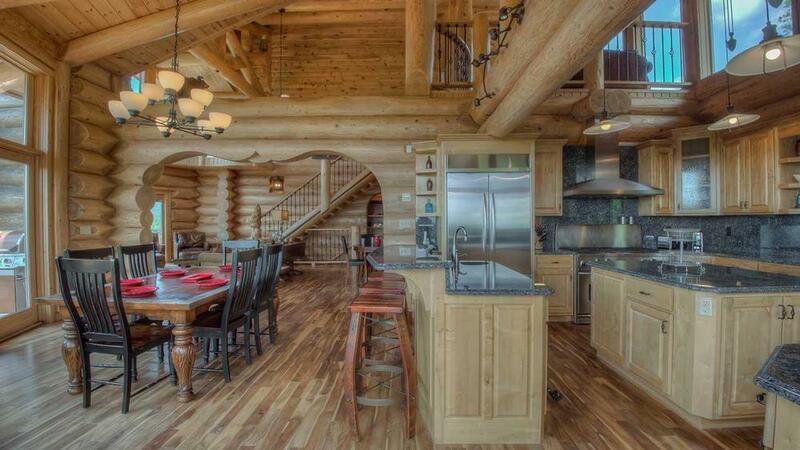 You will marvel at the massive ceiling beams, yet, as you gaze across these dramatic log elements, something different will catch your eye. Whimsical sculptures have been hand-carved into the home’s log woodwork: an expressive bear and its cub are crossing a beam; an eagle is perched proudly above the living room; raccoons are in the nooks and squirrels peek through the crannies. You will marvel at the detail and as soon as you think you’ve settled in, your eye will happily catch a carefully-placed little critter sculpted into an unexpected corner. 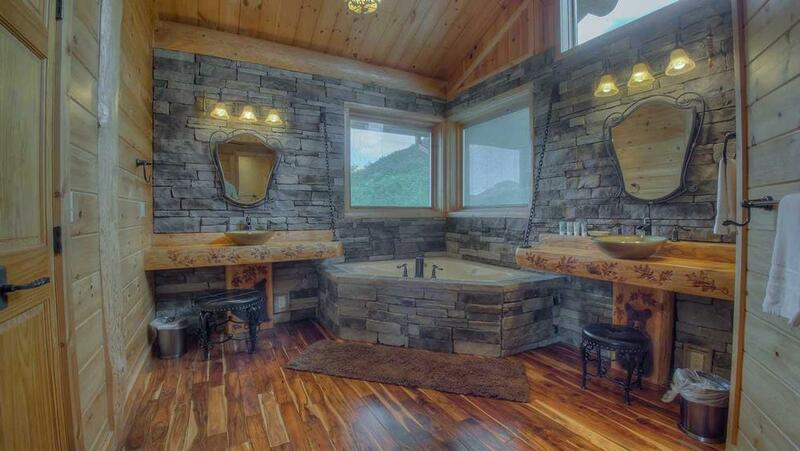 The home’s amenities are just as detailed - so much so, that you may need to force yourself to get outdoors. Every luxury is thoughtfully provided from high-thread linens to a gourmet kitchen. 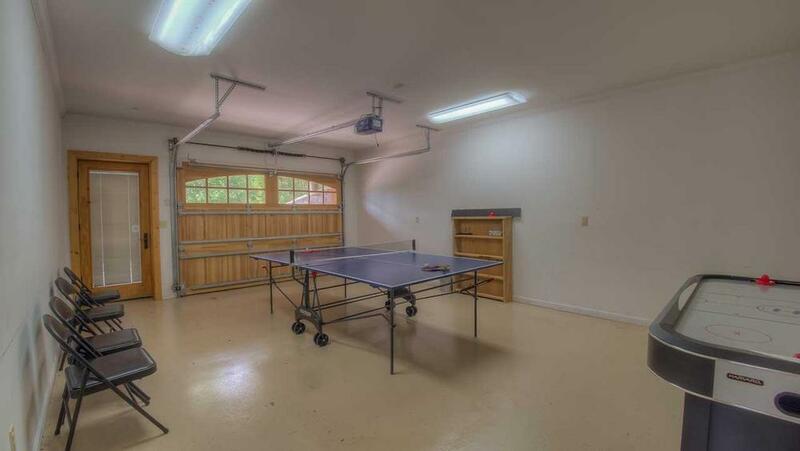 The home offers entertainment you can share from the game library or billiards, ping pong and air hockey fun. 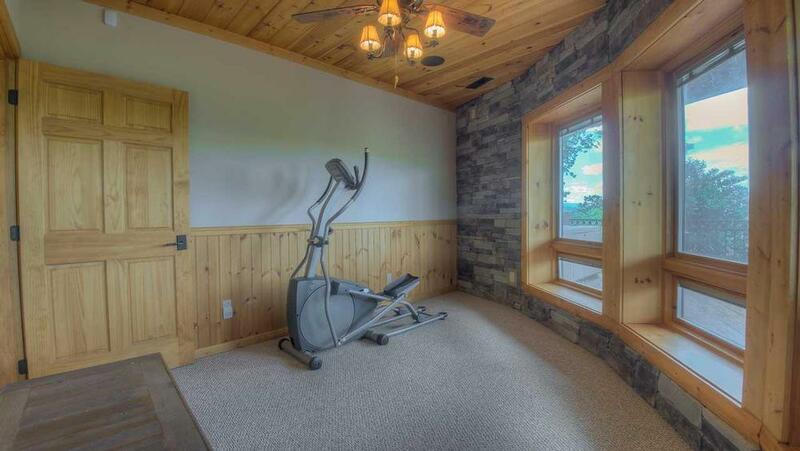 Or, make your time as personal as a work out in the home’s private gym. 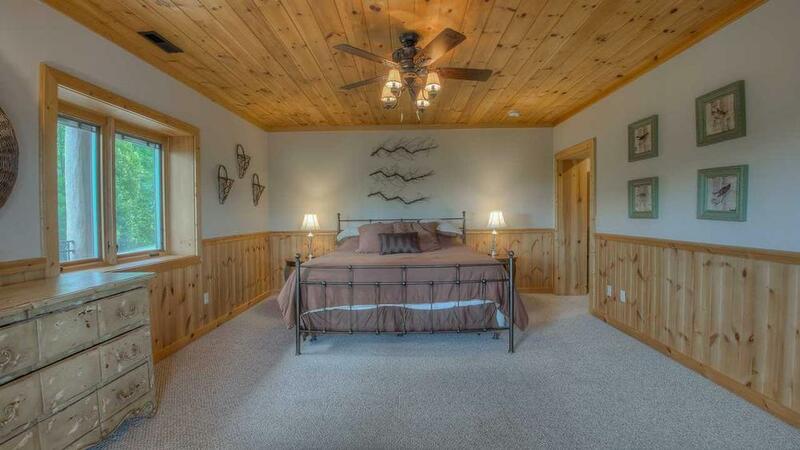 Consider watching the sun set over the mountains, from the hot tub which is set on the lower-level deck for extra privacy, and cap off the evening with a movie in the theater-quality media room. At the end of the day, the big sky views from Falling Waters will beckon a final peer upward as shooting stars wink at the fulfillment of your most magnificent mountain vacation, and the promise of new days ahead. 03/19 - The home is just beautiful and the staff are very helpful and polite! 01/19 - The cabin was in such amazing shape and was even better than the pictures led us to believe! From the very beginning of booking to speaking with an agent to checking out, every aspect of working with your company was flawlessly executed and a pleasure! 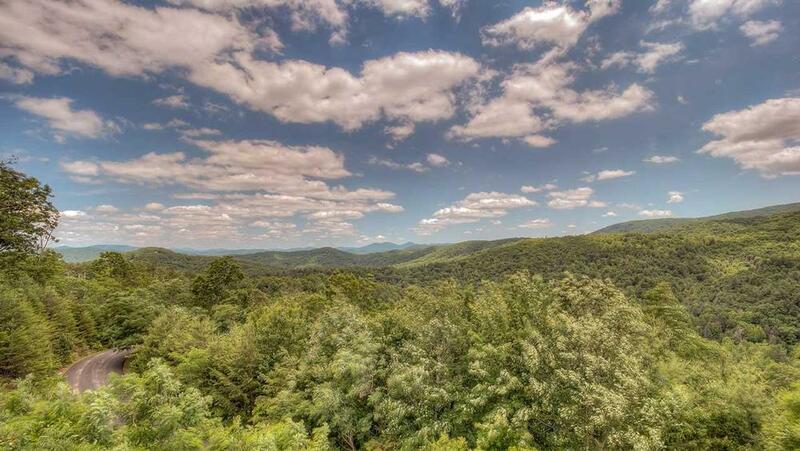 11/18 - The view was spectacular and was what we wanted for our visit to Blue Ridge, along with the larger home. It was a real treat to stay in such a beautiful log lodge.We have used your company several times and have been very pleased with everything. Falling Waters Lodge was a special treat for us and our time spent there was wonderful. We will definitely consider your company for next year's visit. 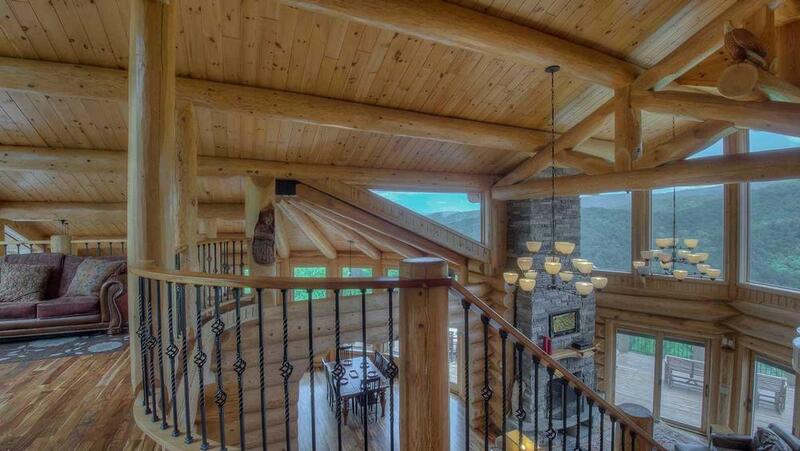 10/18 - Beautiful home with strong mountain cabin appeal. 09/18 - The location is the best. Great job! 07/18 - The view is wonderful and the space was more than enough for eleven people. The company is easy to deal with. I would use again and recommend to anyone. 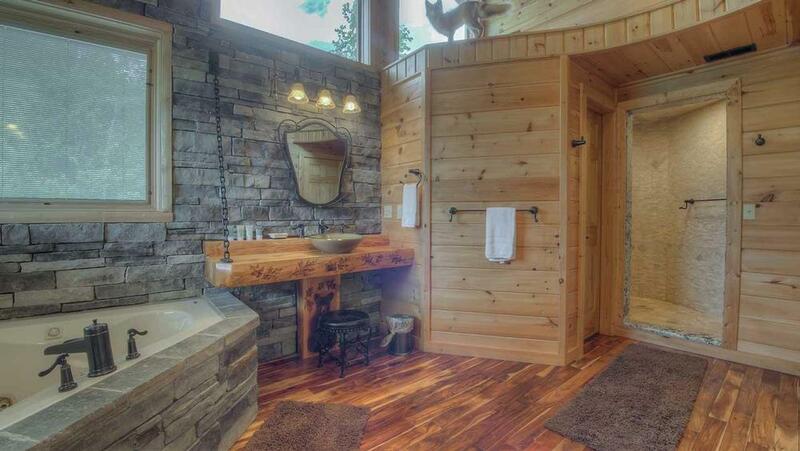 3/18 - Love the detail and the space, the views are breathtaking and the waterfall and fire pit make it like a 5 star hotel. The company is very easy to deal with. 2/18 - The view of the mountains was amazing! In addition, the unique animal wood carvings were absolutely mind blowing! Fast, fun and friendly! 10/17- The views from the back porch are absolutely stunning. The build quality and carvings of the house were impressive. The home is a good size, set into an ideal surrounding. We had the extreme pleasure of staying at Falling waters during the '17 eclipse. What an excellent choice. We made many memories. Your team was prompt, courteous, and on top of any issues. Everything worked as expected. It was easy to access the home. Checkout was straight forward. Professional. We have already started to consider another visit possibly trying a different home next time. 08/17- Great views, fun game room. 07/17- We enjoyed everything. 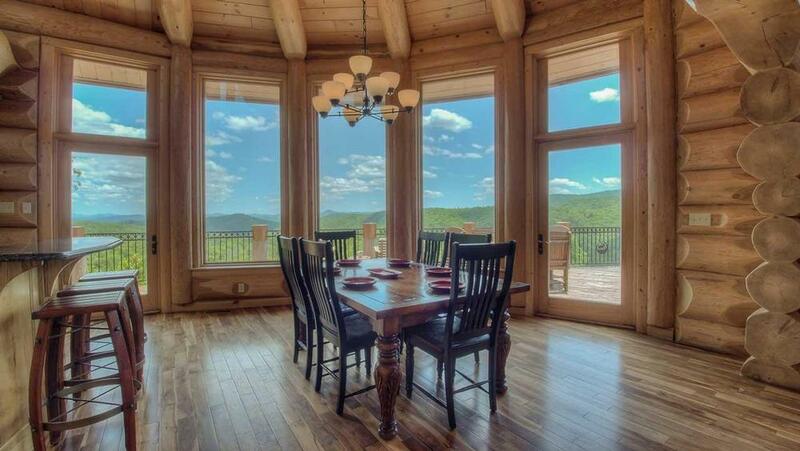 This home is spacious and the view is awesome. We really had a good time. We came back home relaxed and refreshed. 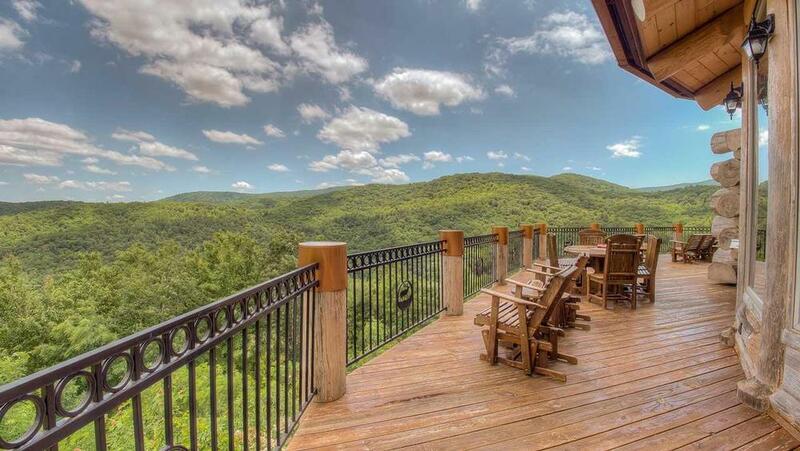 We can't wait to come again to Escape to Blue Ridge! I love your company. You are excellent hosts. You are warm and friendly. I love the way you communicated with me to make sure our vacation time was enjoyable. 07/17- This is the second time we rented Falling Waters. 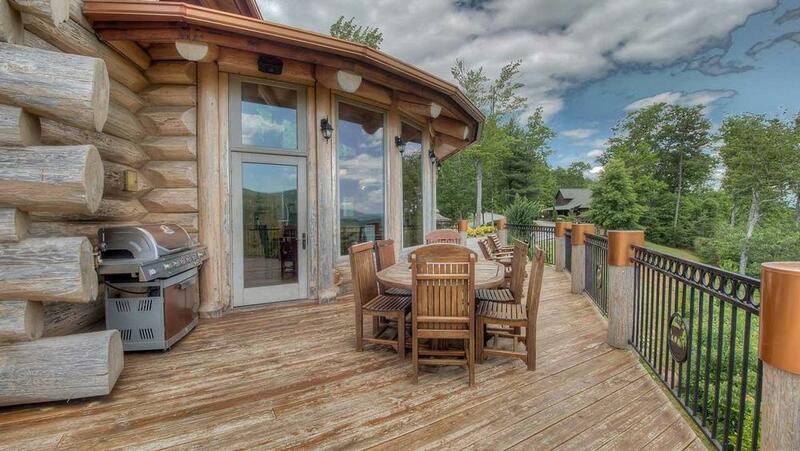 We LOVE this property and its location. The views are out of this world! 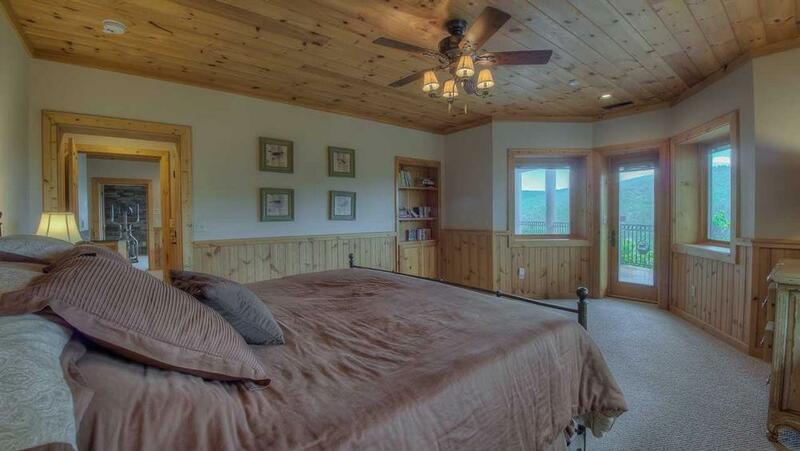 Very comfortable, beautiful home with lots of space to relax inside and out. The kitchen was well-appointed with everything we needed. 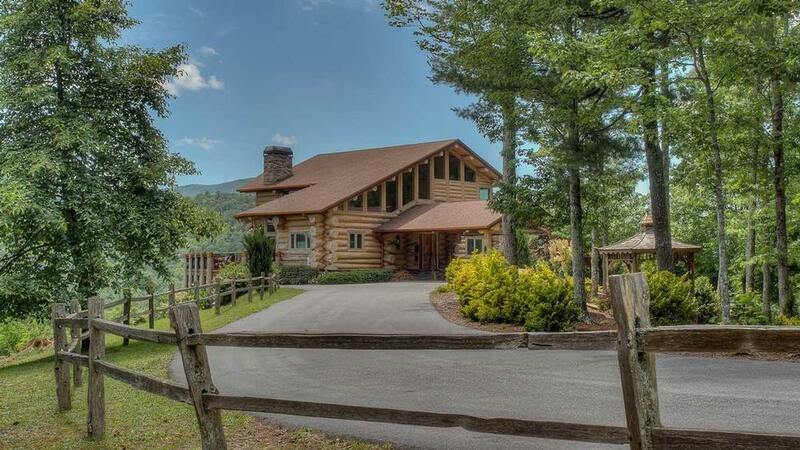 We have rented cabins through Escape to Blue Ridge many times now and are always very satisfied with the homes and wonderful service your company provides! Thank you for yet another wonderful getaway! 06/17- The view was spectacular. 06/17- We loved the carvings in the front of the home and in the interior. It was almost like a game to find a new carving within the home. Plenty of space for lounging and entertainment. 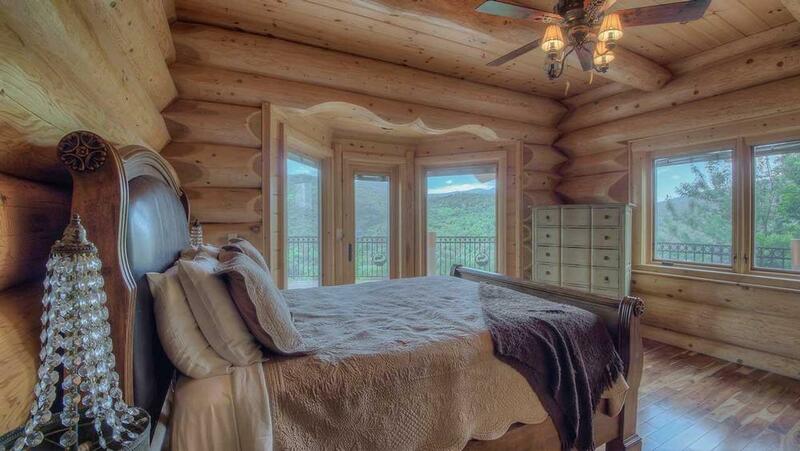 The VIEWS are what will make us book again with this exact cabin. Every one of our guests could not get enough of the views during their visit. I am incredibly impressed with this company. From start of booking, the staff has been patient, informative, and more than happy to go above and beyond to help with questions. 03/17- We loved the view and the cabin was very unique. Very friendly staff. Overall a great experience. 03/17- Very well constructed, beautiful details, very roomy, clean, multiple bathrooms, fantastic kitchen,the view, almost everything. Very helpful in any question I asked. 01/17- Great House! Since the beginning, the staff has been professional with a great attitude and kind. The best! 12/16- What can I say that would adequately describe the splendor of this home?...there really are no words but I'll try. The wonder of Falling Waters Lodge began with the first glimpse of the home perched on the mountain. As we drove up the driveway I felt a sense of "Welcome Home". 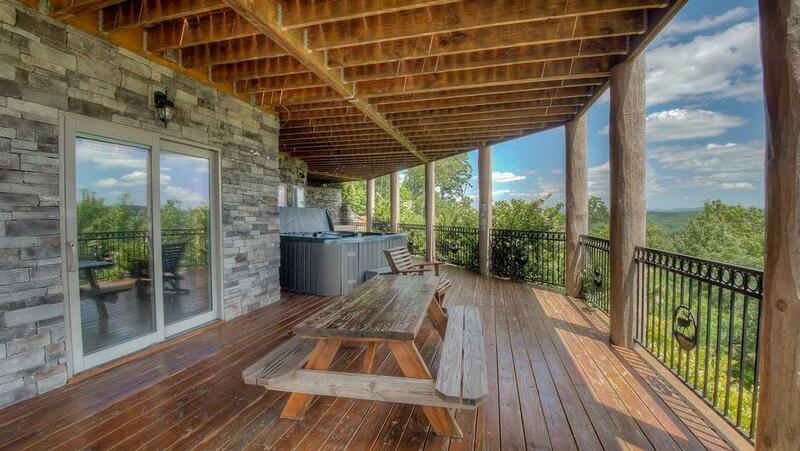 The property is beautifully landscaped. The lodge is exquisitely appointed, from the archways and hand-carvings throughout the home to the inviting kitchen that can easily accommodate 5-6 people at a time, with room to spare. 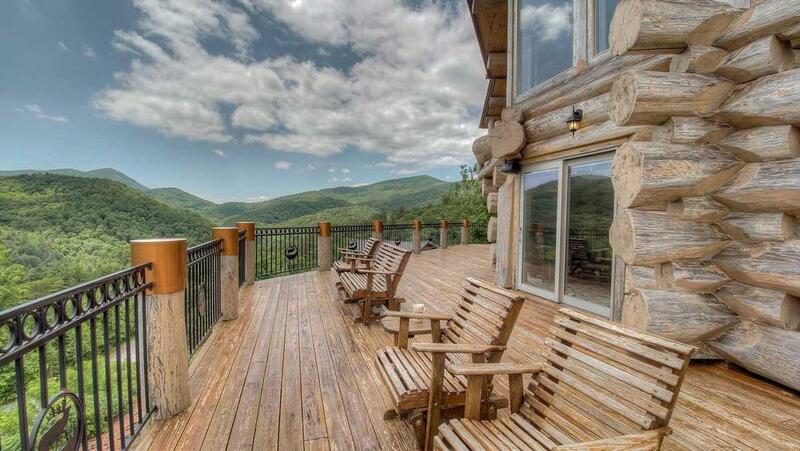 The inside of the home is indicative of comfortable luxury, the deck is indescribable and the mountain views are majestic. 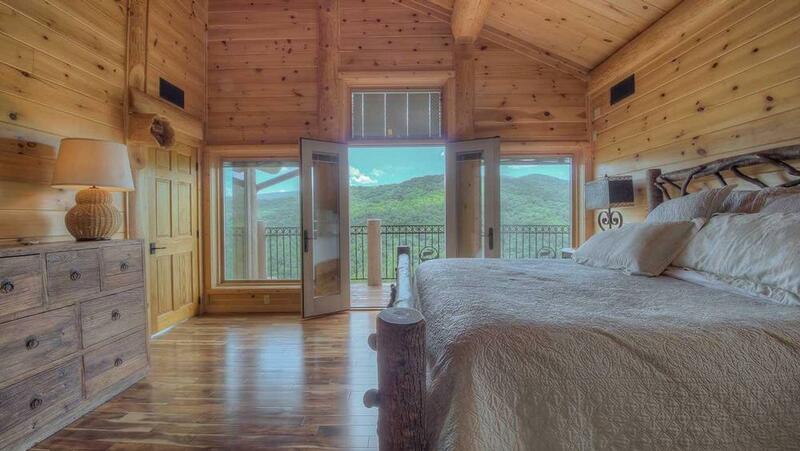 There are so many wonderful qualities of this lodge. My impression of Escape to Blue Ridge is 'professional'- the representatives were courteous, knowledgeable and helpful (Campbell was my favorite). We have shared our excitement with friends, acquaintances and colleagues and have already received so many requests for more information on the company and this lodge. 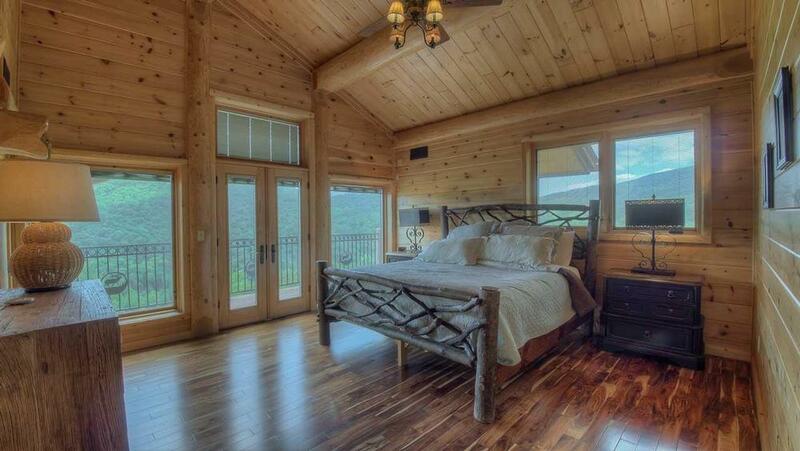 12/16- This cabin is absolutely amazing, period. Best views, plenty of room, we loved it. 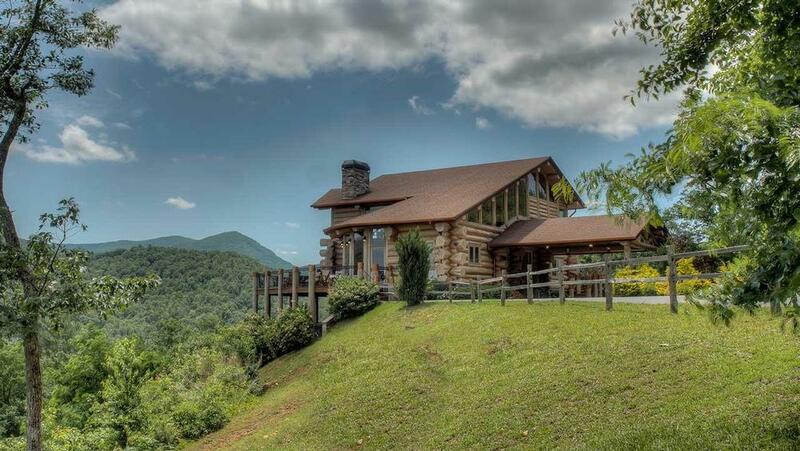 We love Escape to Blue Ridge, great customer service, the best cabins around, best reservation prices & overall process. 11/16- We enjoyed the balcony with the view. Just priceless. 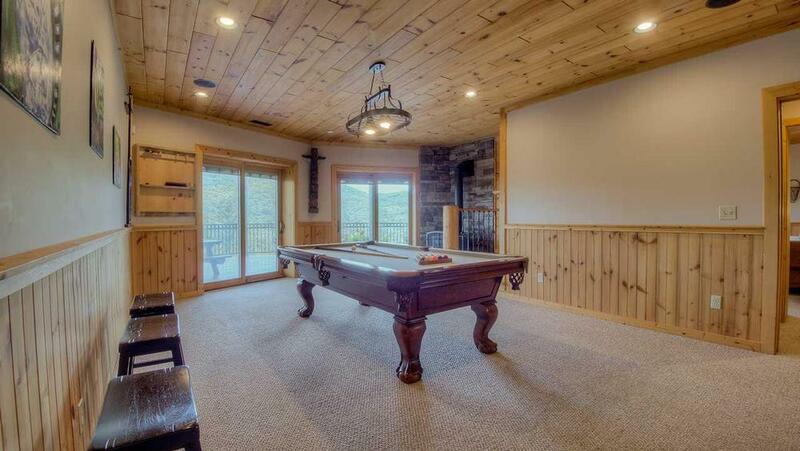 The kids enjoyed the downstairs entertainment room with games and tv room. 10/16- The panoramic view was fantastic.The pictures on the web page did not do it justice. Everyone that I dealt with on the phone was very professional and helpful. 10/16- We loved the view! It's an awesome view!! 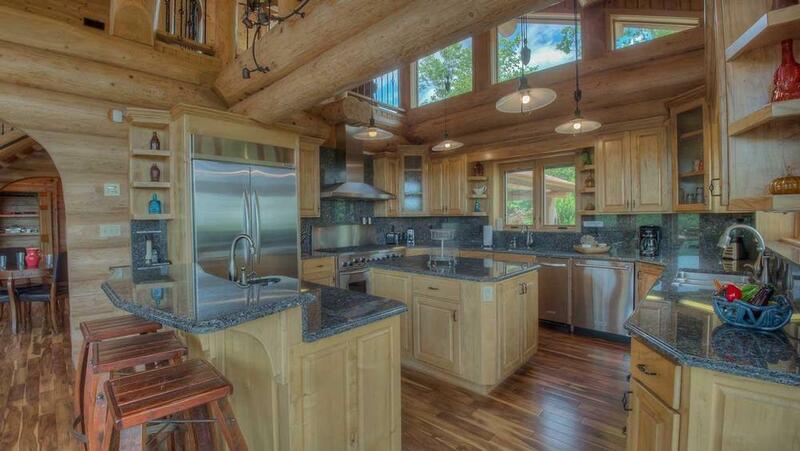 The kitchen is just the right size and very nice. Very clean. The company as a whole is great to work with and the employees are accommodating, polite and friendly. 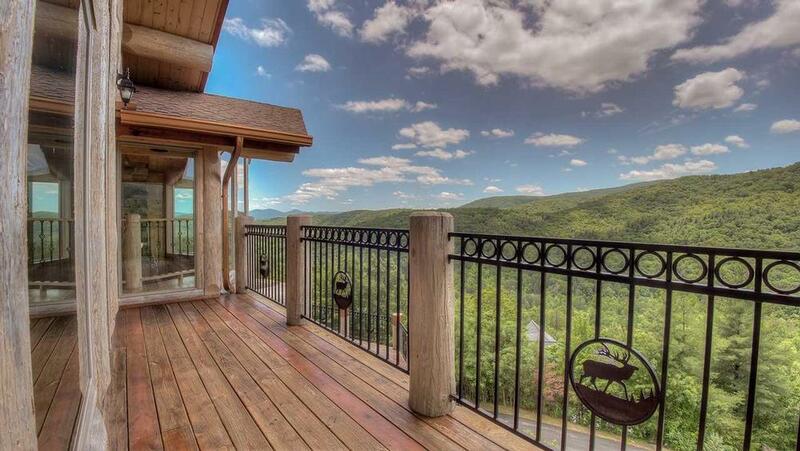 10/16- Beautiful home with amazing views. Great staff, we have rented from EBR many times and have found them fantastic to deal with. 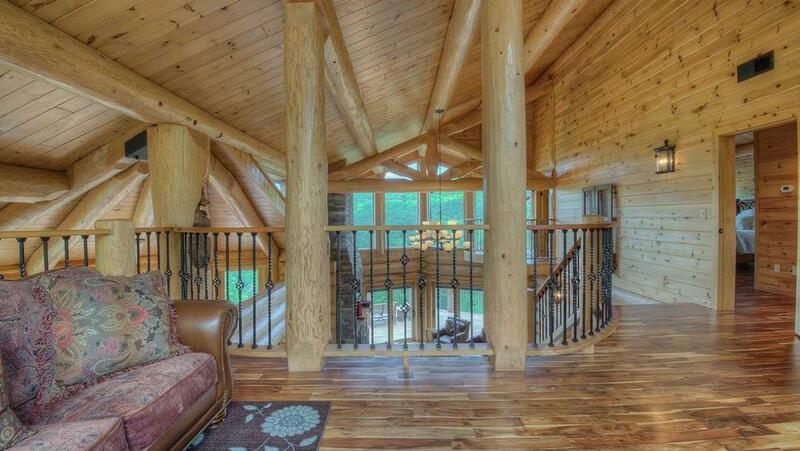 09/16- Home has an impressive, beautiful interior that is very "warm." Lots of space for our group. 08/16- The view is fantastic. 07/16- The mountain views and details of the cabin ere loved. 07/16- We absolutely loved this home! 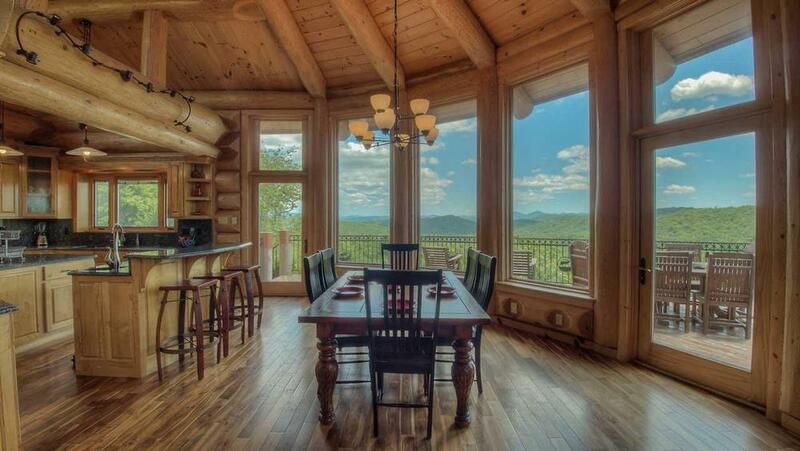 Stunning views, beautiful setting and gorgeous interior. 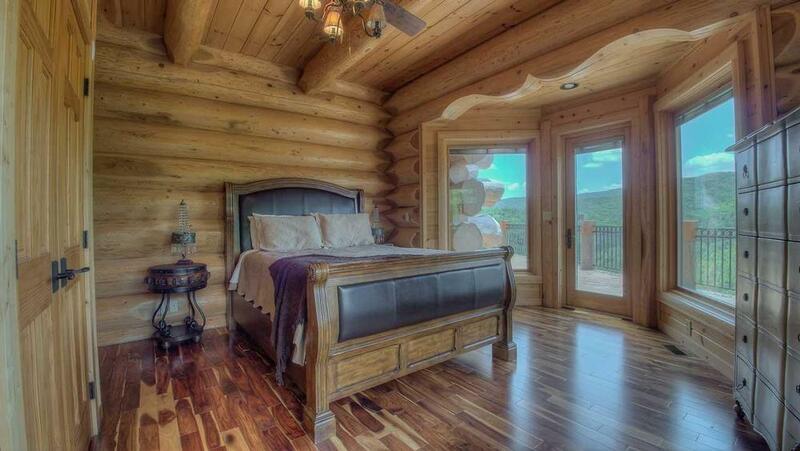 It is a large home yet was comfortable and cozy at the same time. Our favorite times were spent gathering as a family around the kitchen table, around the fire pit and out on the deck watching nearby fireworks. We can't wait to return to this fantastic home! 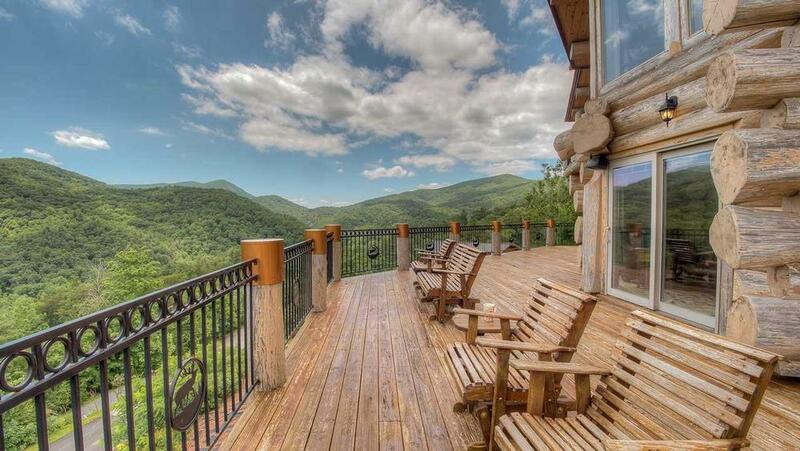 We are always so impressed with Escape to Blue Ridge. Your service is top notch and always helpful. 05/16- The home is lovely! 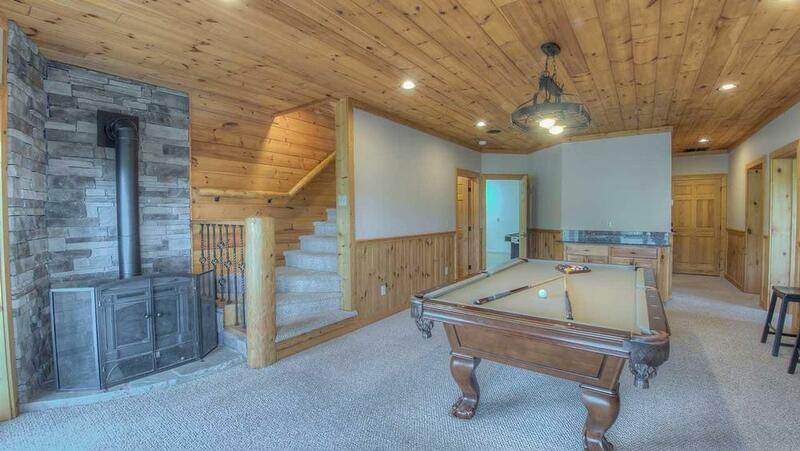 The details, view, outdoor fire pit, large decks, game room etc all made this a wonderful place to enjoy our weekend. 02/16- I absolutely LOVED this cabin. My husband and I do plan on coming back again and probably same cabin. We loved the space and how easy it was to get to. 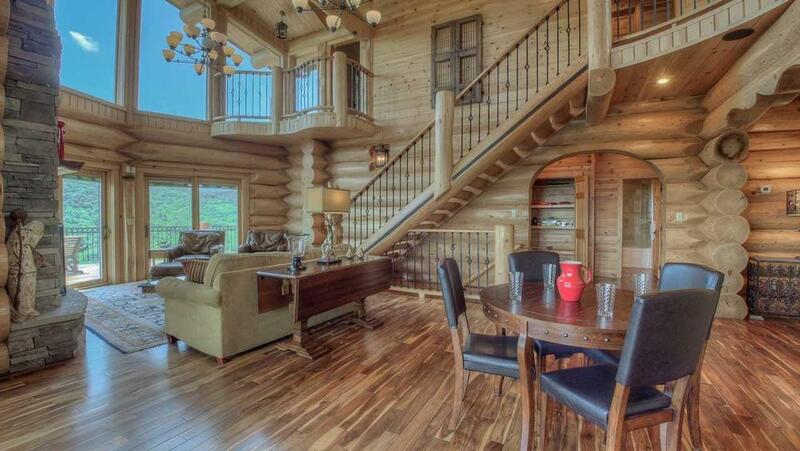 We have actually already recommended this cabin to family and friends. Also, wonderful stuff. Anytime I called I always got GREAT customer service. Thank you so much. Can not wait to visit again. Wonderful company!!!! Actually begin booking under one date and ended up having to changes dates and had no problems what so ever. The people who work for this company (at least all the ones I talked to) were extremely nice and very helpful. 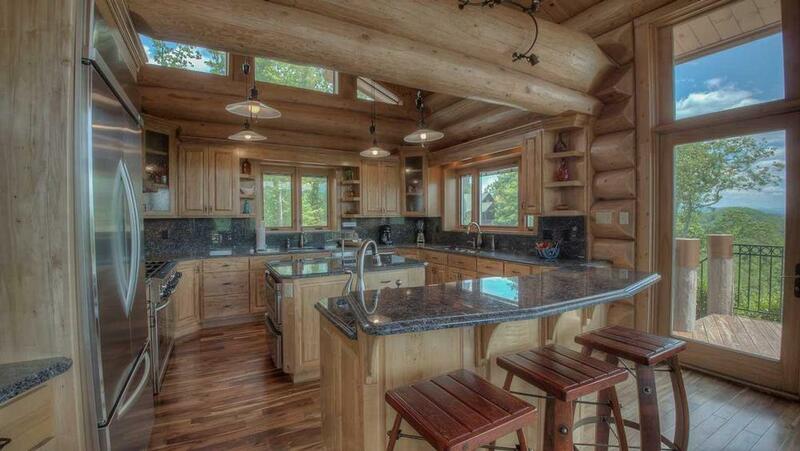 01/16- I loved the kitchen the most. It made cooking for a large group easy. Having two sinks, two ovens, so many burners on the stove top and multiple garbage cans made the kitchen of your dreams. This was a true gourmet kitchen. 12/15- The attributes I enjoyed most are too numerous to name, but the location, spaciousness, design come to mind. My impressions of Escape to Blue Ridge are that the personnel work hard to ensure an awesome visit. 11/15- The home is spectacular in many ways. The views, the construction, the roominess, the numerous windows allowing views on all sides of the home - hard to beat from that stand point. 09/15- The house was so beautiful with unique craftsman features. 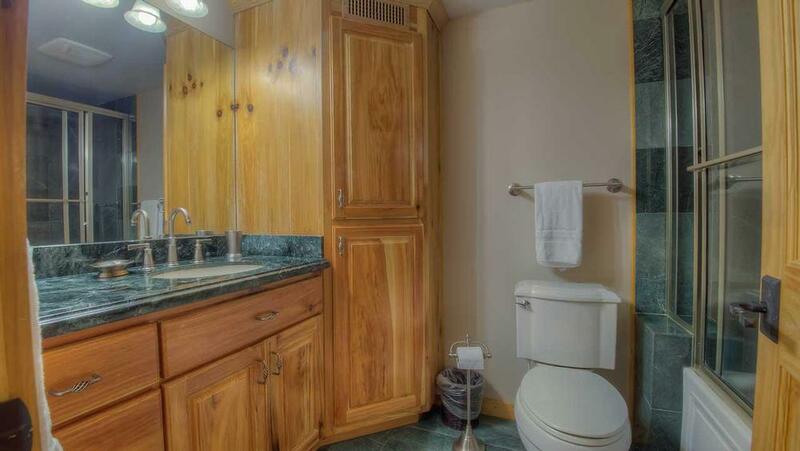 Loved all the amenities And that everything that was listed was there and in working order. 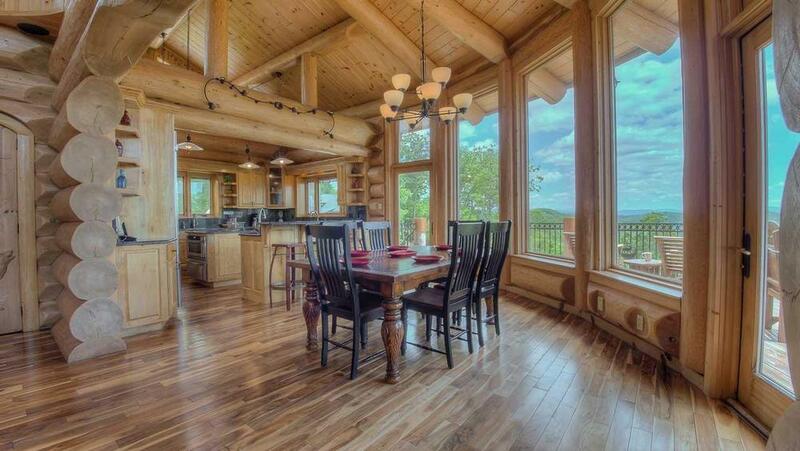 09/15- The scenic views and beautiful design of the cabin. 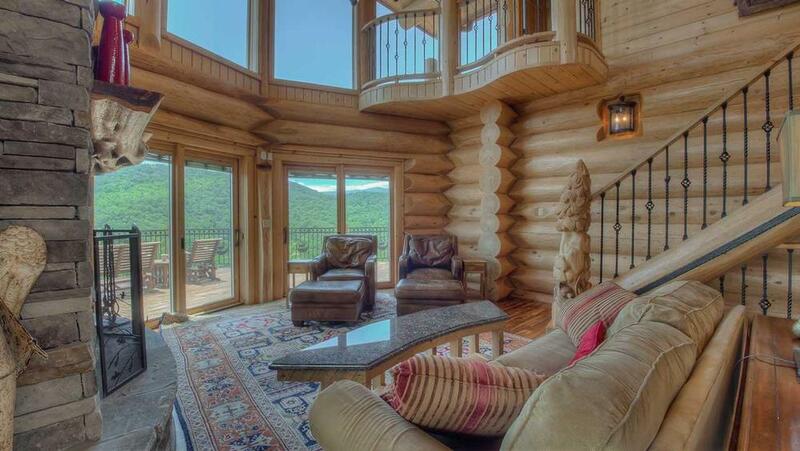 The cabin offered open views with all of the windows. 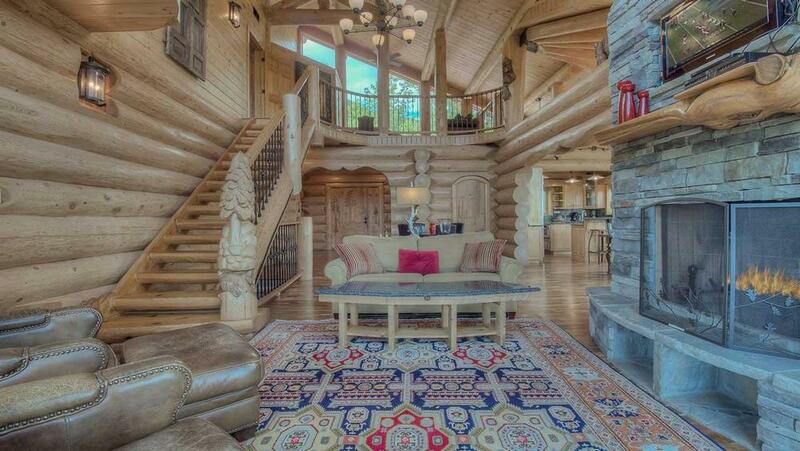 The carvings in the pine added to the cabin feel. EBR was an easy company to work with. All staff that I contacted throughout the process were friendly and helpful. Thank you for the wonderful weekend getaway! 08/15- We loved the view! The fact that would ask us these questions about our stay shows your diligence. 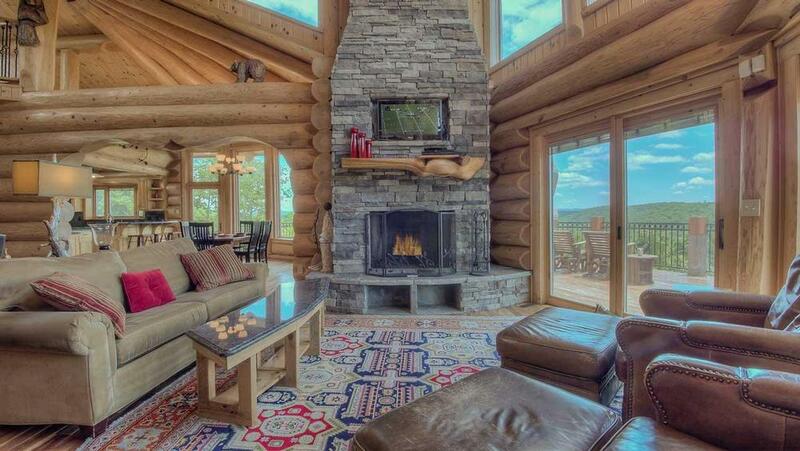 08/15- This lodge is truly amazing. 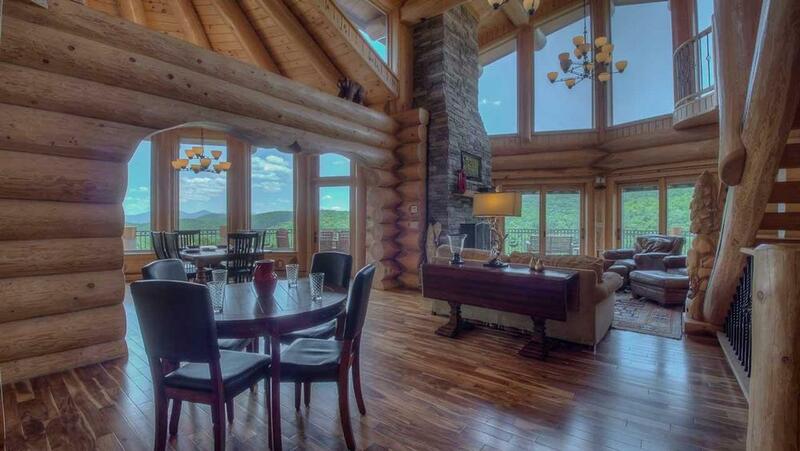 It is spacious and well appointed with sweeping views. It was the perfect venue for our family getaway! Excellent customer service. This is our fourth time renting from ETR, and we find the staff to be incredibly personable and accommodating. We'll be back! 07/15- No expense appeared to be spared in construction. 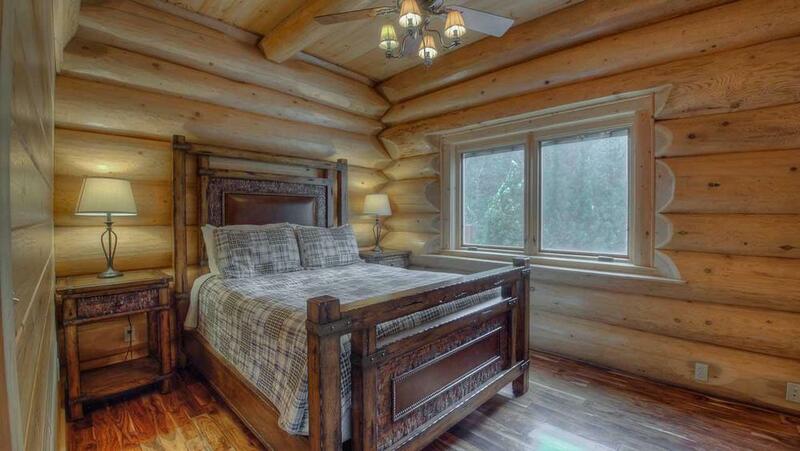 The details in construction made this cabin truly unique. The view was incredible. 06/15- Everyone had a great time. 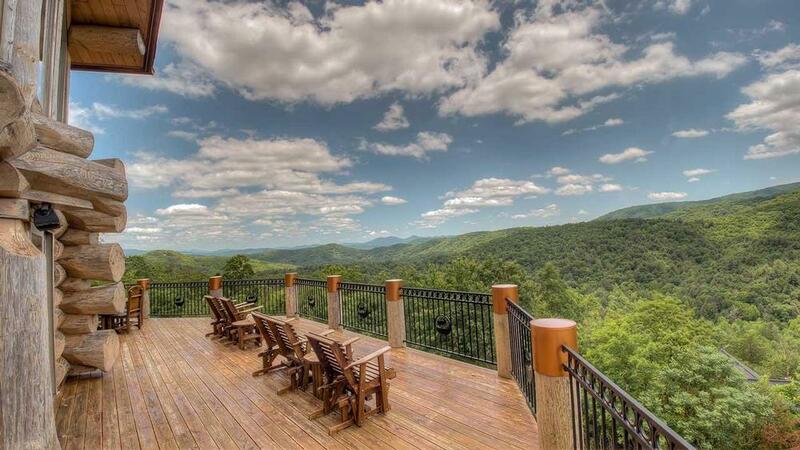 Whether we were relaxing on the deck taking in the magnificent views or whitewater rafting on the nearby Ocoee River, we were having the time of our lives. 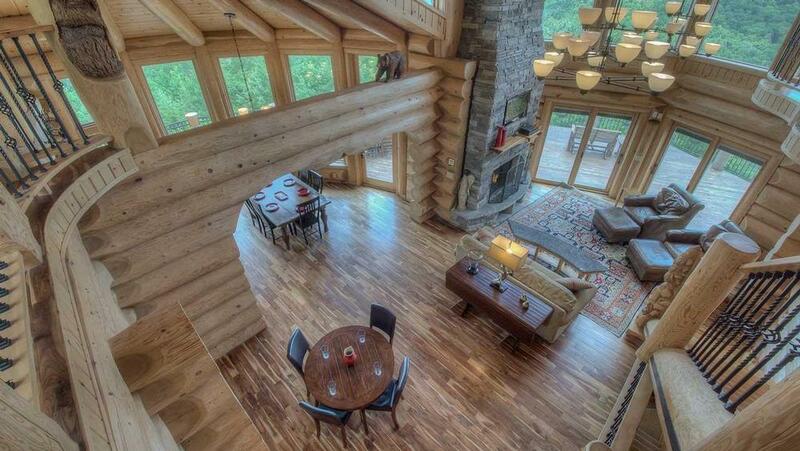 The cabin was beyond our expectations. Not even the teenagers needed the tv or the Internet! Your company is very pleasant, professional and efficient. 02/15- The entire home was beautiful. All of the rooms were really nice including the beautiful kitchen area. The state of the art appliances gave it an extra touch. The outdoor area (waterfall, fire pit and gazebo) were beautiful too. The fixtures were awesome! 02/15- The view is unbeatable. 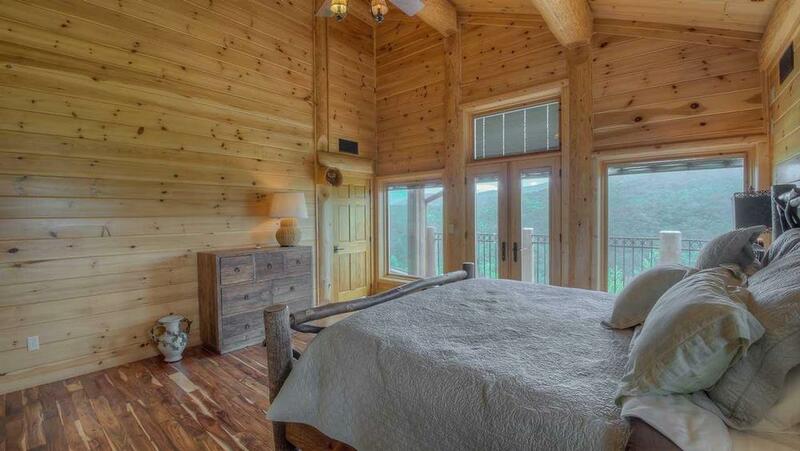 Second rental from Escape to Blue Ridge and there are sure to be more. Excellent cabins and service. 01/15- Location, Layout, Spa, Views were all amazing. 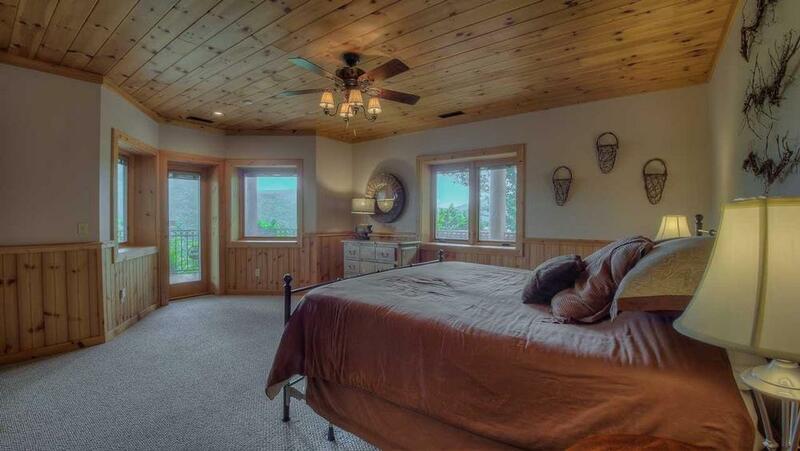 We loved the fresh crisp air, the hiking, the beautiful home, very comfortable beds, amazing shower, spa. It was a great getaway and one we will repeat. 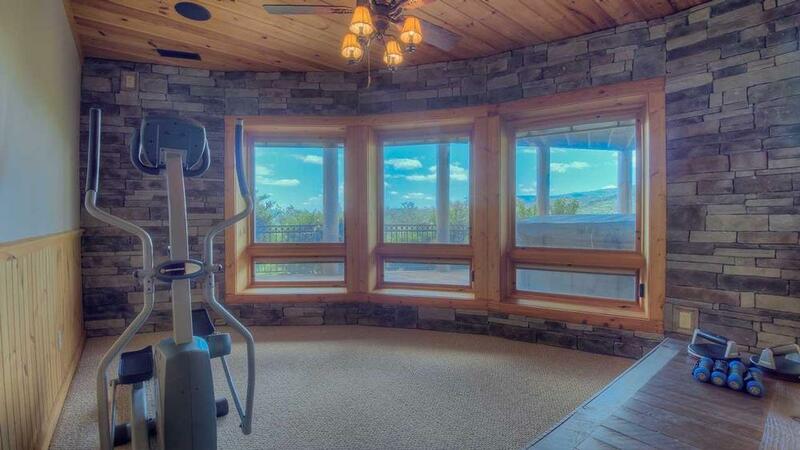 11/14- The views were spectacular as were the amenities of the property. 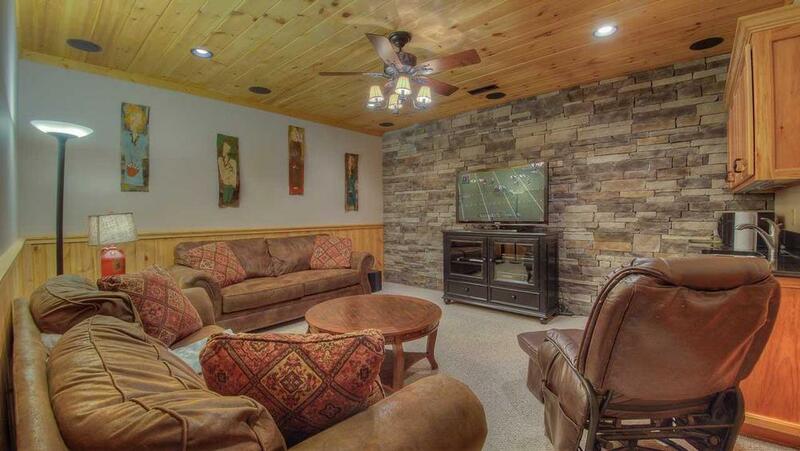 10/14- outdoor deck, outdoor gazebo and fire pit, master bathroom, media room, game room were great as always! 10/14- We enjoyed the views and space. The lodge exceed our expectations. Staff is very attentive. 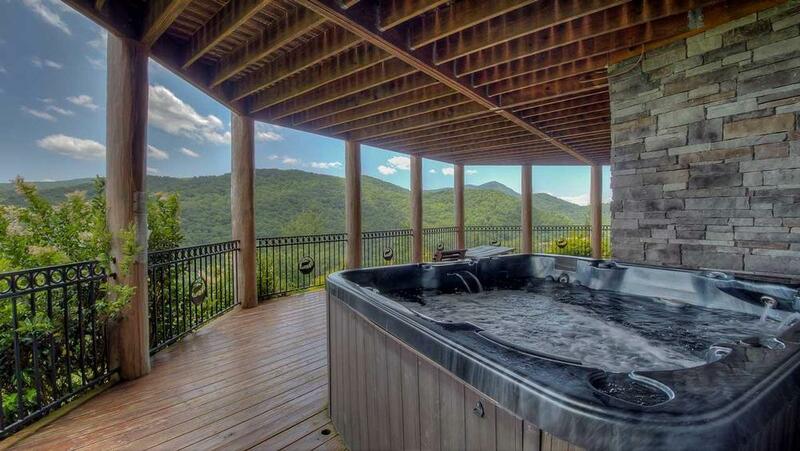 This is the second time we have used Escape to Blue Ridge properties, and I hope to book another trip very soon. 06/17- We loved the view and the property. Great company, love working with you.